Rossana is the Managing Partner of LC Lawyers LLP. She has been recognized as the Highly Regarded Lawyer in 2018 and the Leading Lawyer in 2015 to 2017 by IFLR1000. She is also a Recommende in Capital Markets (Equity) (Hong Kong) by The Legal 500 Asia Pacific 2016. She was named as a Commended External Counsel of the Year 2017 by the In-House Community. Rossana is experienced in mergers and acquisitions, capital market transactions, corporate finance and regulatory compliance. She routinely advises clients on mergers and acquisitions, initial public offerings (IPOs), post-IPO fund raising and corporate restructurings. 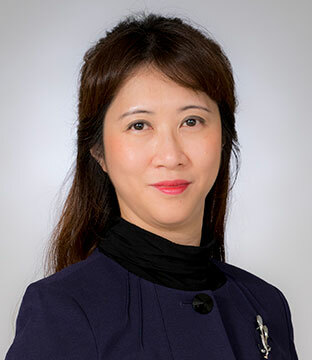 She also advises on private equity/venture capital investments with PRC and Hong Kong elements, as well as on compliance matters in relation to Hong Kong-listed companies. Advising a China-based provider of integrated plastic solutions on its IPO and listing on the Hong Kong Stock Exchange. Advising a Hong Kong-based LED lighting product manufacturing company on its IPO and listing on the Growth Enterprise Market of the Hong Kong Stock Exchange. Acting for a Hong Kong listed company (forestry industry) in its various fund raising exercises. Advising a Hong Kong listed company (renewable energy industry) in its bonus warrant issues. Acting for a Hong Kong listed company (investment and financing industry) in its various fund raising exercises. Advising a subsidiary of a Hong Kong listed company (investment bank) on various capital markets and securities related transactions. Acting for a Hong Kong listed company (electronic products manufacturing industry) in its placing of new shares. Acting for the sole sponsor in the IPO of a Hong Kong-based cleaning service provider and the listing on GEM Board of the Hong Kong Stock Exchange. Acting for a China-based micro-credit company on its IPO and listing on the Main Board of the Hong Kong Stock Exchange. Acting for a securities company as placing agent in the placing of shares by several Hong Kong listed companies. Acting for a securities company as the placing agent in placing of convertible bonds by a Hong Kong listed company. Acting for a China-based conglomerate on its pre-IPO investment in a construction company. Acting for the sole sponsor in the IPO of a China-based construction company and the listing on the Main Board of the Hong Kong Stock Exchange. Acting for the sole sponsor in the IPO of a China-based glass products manufacturer and the listing on the Growth Enterprise Market of the Hong Kong Stock Exchange. Acting for a Hong Kong listed company (construction industry) in its top-up placing of existing shares and issue of new shares. Acting for a Hong Kong listed company (sportswear industry) in its open offer of shares and convertible securities. Acting for a securities company as the underwriter in the open offer of shares by a Hong Kong listed company. Acting for the sole sponsor in the IPO of a China-based micro-credit company and the listing on the Main Board of the Hong Kong Stock Exchange. Acting for a securities company in its issuance of convertible notes. Acting for a Hong Kong listed company (public utilities industry) in its top-up placing. Acting for the sole sponsor in the IPO of a China-based culture company and the listing on the Main Board of the Hong Kong Stock Exchange. Acting for one of the top China-based investment banks on its global offering of shares and listing on the Main Board of the Hong Kong Stock Exchange. Acting for a Hong Kong listed company (sportswear industry) in its open offer of convertible securities. Advising a Hong Kong listed company (property development industry) in its bonus warrant issues. Acting for one of the top Macau gaming companies on its IPO and listing on the Main Board of the Hong Kong Stock Exchange. Acting for a China-based chemistry company on its IPO and listing on the Main Board of the Hong Kong Stock Exchange. Acting for the sponsors and underwriters in the IPO of one of the top China airlines and the listing on the Main Board of the Hong Kong Stock Exchange. Acting for a Hong Kong listed company (property development industry) in its disposal of shares in a Hong Kong listed company. Acting for a securities company in its subscription of new shares in a Hong Kong listed company. Acting for the controlling shareholder of a Hong Kong listed company in its voluntary securities exchange partial offer for securities in a Hong Kong listed company (financial services industry). Acting for a China-based investor in the acquisition of shares of a Hong Kong listed company. Advising a Hong Kong listed company (property development industry) in its acquisition of equity interest in a property development company. Advising a Hong Kong listed company (renewable energy industry) in its acquisition of wind turbines and turbine towers. Acting for a Hong Kong listed company (construction industry) in the acquisition of a property project. Acting for a Hong Kong listed company (integrated circuit manufacturing industry) in its voluntary share exchange offer to acquire all the shares of a Hong Kong listed company (investment holding business). Advising on the acquisition of securities of a Hong Kong listed company (construction industry) and the subsequent mandatory general offer in respect of the other securities of that company. Acting for a Hong Kong listed company (property development industry) in its voluntary share exchange offer to acquire all the securities of a Hong Kong listed company. Advising on the disposals and acquisitions of financial institutions licensed by the Hong Kong Securities and Futures Commission to conduct regulated activities. Acting for a Hong Kong listed company (property development industry) in its subscription of new shares issued by a Hong Kong listed company (investment holding business) and the formation of joint venture. Advising on the acquisition of shares of a Hong Kong listed company and the subsequent mandatory general offer in respect of the other securities of that company. Advising on the acquisition of securities of a Hong Kong listed company (property development industry) and the subsequent mandatory general offer in respect of the other securities of that company. Advising a Hong Kong listed company (renewable energy industry) in its off-market repurchase of its preference shares. Acting for a Hong Kong listed company on the general offer to acquire its securities by a Hong Kong listed company (electric vehicles and related products manufacturing industry). Acting for a Hong Kong listed company (forestry industry) in the mandatory general offer made by its controlling shareholder after its acquisition of majority interest. Acting for the financial consultant of a China-based investor, in the general offer to acquire securities from a Hong Kong listed company (infrastructure industry). Acting for a Hong Kong listed company (construction industry) in respect of the restructuring caused by controlling shareholder’s transfer of shares as well as in general offer to acquire securities of the company by purchaser. Acting for a Hong Kong listed company (property development industry) in its acquisition of shares of a Hong Kong listed company. Advising a Hong Kong listed company (public utilities industry) on its acquisition of water projections. Advising a Hong Kong listed company (forestry industry) on a mandatory general offer made by its controlling shareholder. Advising on the acquisition of a controlling interest in a GEM Board listed company by another Hong Kong listed company (investment holding business). Advising venture capital and private equity firms on the pre-IPO investments in form of convertible bonds or notes, convertible redeemable preference shares, warrants, options and ordinary shares.